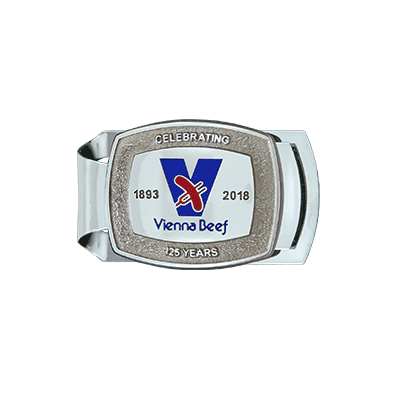 2018 was a major year for Vienna Beef marking 125 years in business. As part of the celebration the company decided to thank employees with these custom money clips. These money clips feature buffed epoxy and sterling silver for executives and sculpted nickel for staff.